Environment Colorado released a 10-point plan to help universities achieve a 100 percent renewable energy system two days after the Environmental Protection Agency announced it would repeal the Clean Power Plan. The plan, designed by Environment America, was introduced in an Environment Colorado press release Thursday. 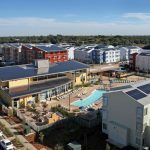 It detailed the benefits of each type of renewable or sustainable energy for a college campus as well as case studies of universities already implementing them. The citizen-based environmental organization hopes to share the proposal with universities around Colorado, according to Garrett Garner-Wells, director of Environment Colorado. On the same day the plan was released, Garner-Wells, along with Mara Brosy-Wiwchar, district director for Congressman Jared Polis, and Scott Denning, director of education at the Colorado State University Center for Multiscale Modeling of Atmospheric Processes, gave a press conference outside the CSU Powerhouse Energy Campus. 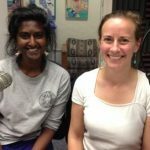 Garner-Wells spoke of the important role colleges and universities can play in the clean energy revolution, both by significantly reducing their carbon footprints and setting an example for the community. 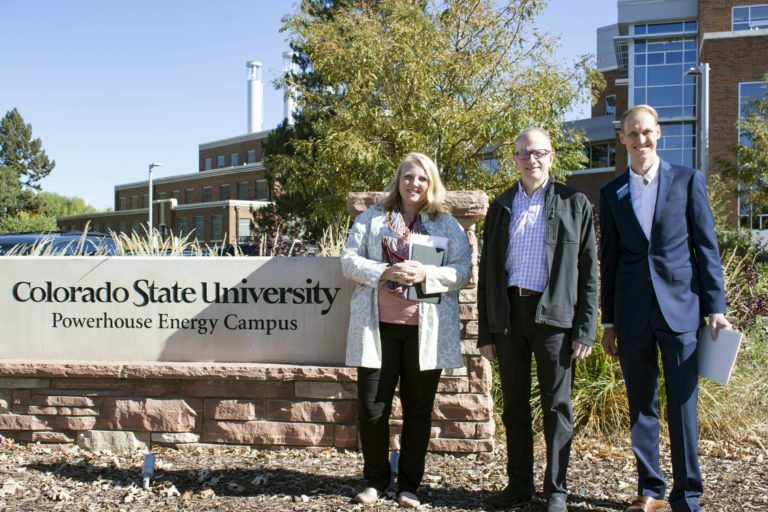 Earlier this year, CSU pledged to run on 100 percent renewable energy by 2030 complete carbon neutrality by 2050. According to Garner-Wells, this would be achieved through a power purchase agreement: a contract between a generator of electricity—which in this case would be from a renewable source—and the buyer of electricity. Essentially, CSU would be buying renewable energy. The University began soliciting proposals for the purchase of renewable electricity in August and is expected to have a decision by the end of January. Brosy-Wiwchar brought up the importance of both federal and local dedication to renewable energy. On the federal level, Polis and three other House lawmakers introduced a bill which would transition the United States to 100 percent renewable energy by 2050. Locally, the Fort Collins Climate Action Plan calls to reduce carbon emissions by 80 percent by 2030 and going carbon neutral by 2050. Colorado legislature requires 30 percent of all investor-owned utilities to generate 30 percent of their electricity from renewable energy by 2020. Brosy-Wiwchar said universities and communities such as Fort Collins and CSU will be what propel the federal government to ensure the U.S. will be sustainable by 2050. Despite the EPA’s intent to repeal the Clean Power Plan, Denning said he believes market forces will continue to push people toward renewable energies like solar and wind because they are now cheaper than coal. “I’m still pretty optimistic that (this) generation is going to fix this,” Denning said. Denning talked about the three S’s of climate change: simple, serious, and solvable. The concept of climate change is simple, the consequences are serious, but the issue is ultimately solvable, Denning said. Collegian reporter Samantha Ye can be reached at news@collegian.com or on Twitter @samxye4.